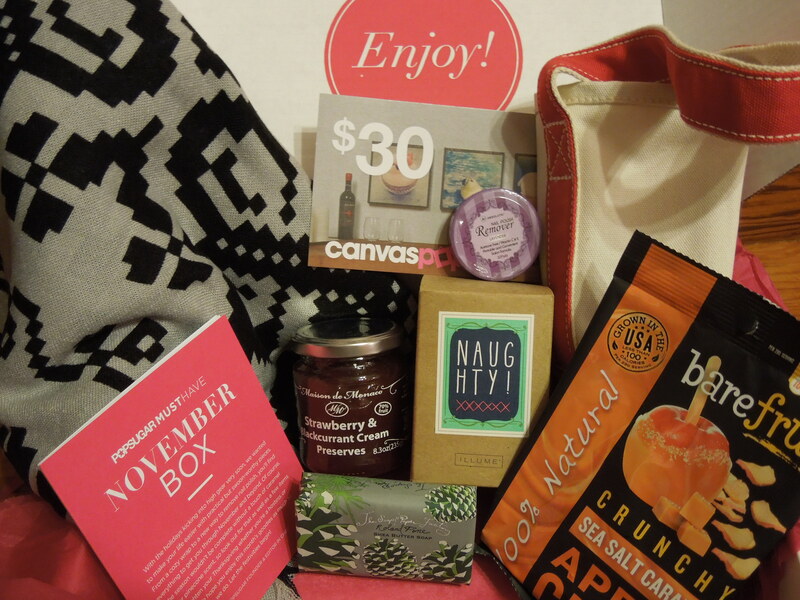 I finally got my November Popsugar Must Have Box. For some info on the subscription along with some coupon codes, jump down below. I love wraps and scarves and I’ve been hoarding all different kinds this year, (which is great since it’s 40 below right now) but I’m just not into this pattern. 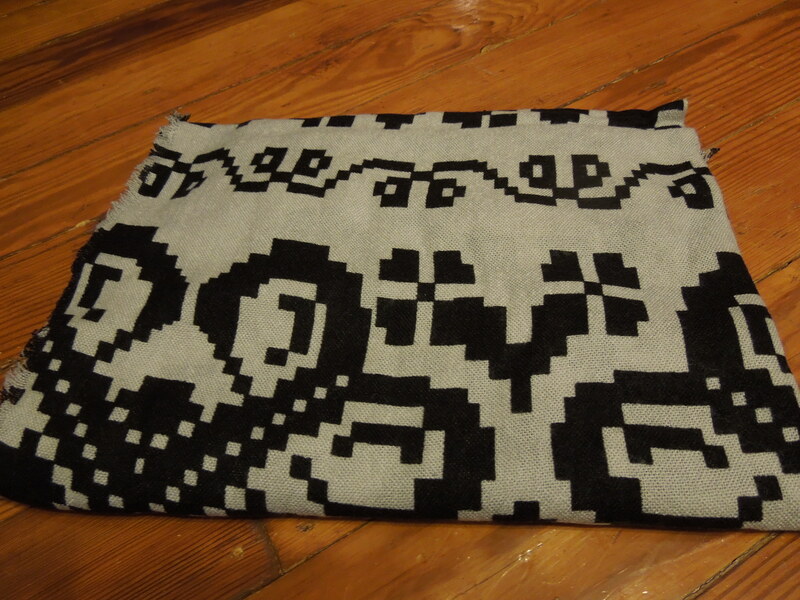 It is however really soft and versatile and I think it’s going to make a great gift for someone on my Christmas Shopping List. Apparently this Illume candle came in a “Naughty” version (spicy wooded scent) or “Nice” (sweet vanilla). I am not surprised I was on the Naughty list. I love candles and normally I’d hoard this for myself, but after the Popsugar Neiman Marcus pine scented Nest candle, I think I may have to give this one up for the gift pile. I’m considering picking up the “Nice” candle and turning it into a set. Putting aside that most single wine totes are fairly useless and are just to dress up a bottle of wine you’re gifting, this one feels off season. Sure it’s red, but the canvas makes it feel like this belongs on a summer picnic, not in a November bag. 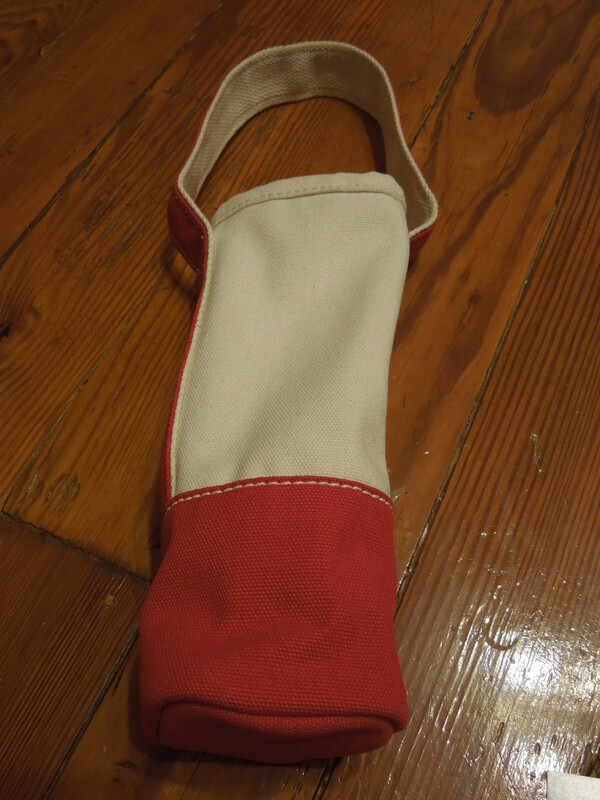 If they were going to include a wine tote, I would have put something more festive and glitzy, that would work for all the holiday events and New Year’s Eve parties. Like imagine walking through the door in a cute little black dress with a bottle of bubbly in a snazzy sparkling bag. This will either be a gift or I’ll Macgiver it into storage for some of my random crafting crap. 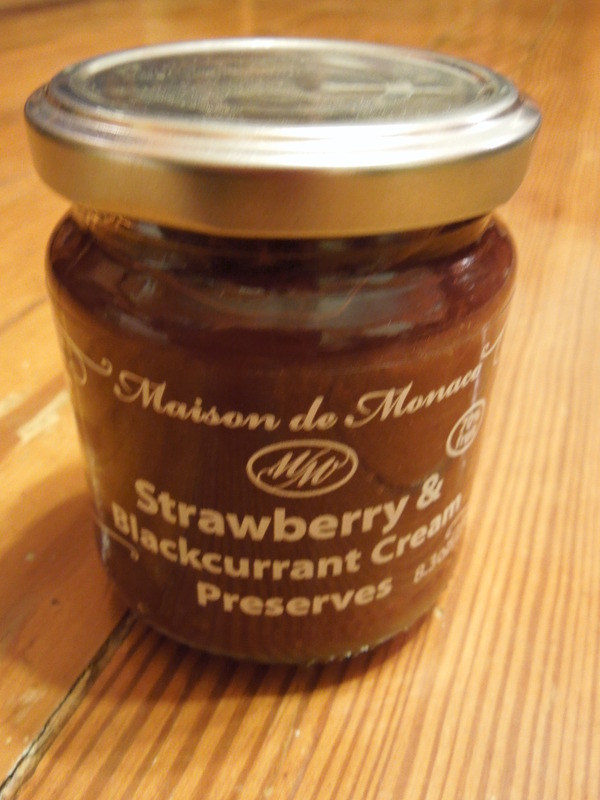 “Hand-cooked in San Francisco in small batches and made from 70% fruit.” I love jams and jellies and things that come in cute glass jars. Since it’s that baking time of year, I have earmarked this little guy for butter and jam thumbprint cookies for some Christmas treat boxes I’m making for my coworkers. 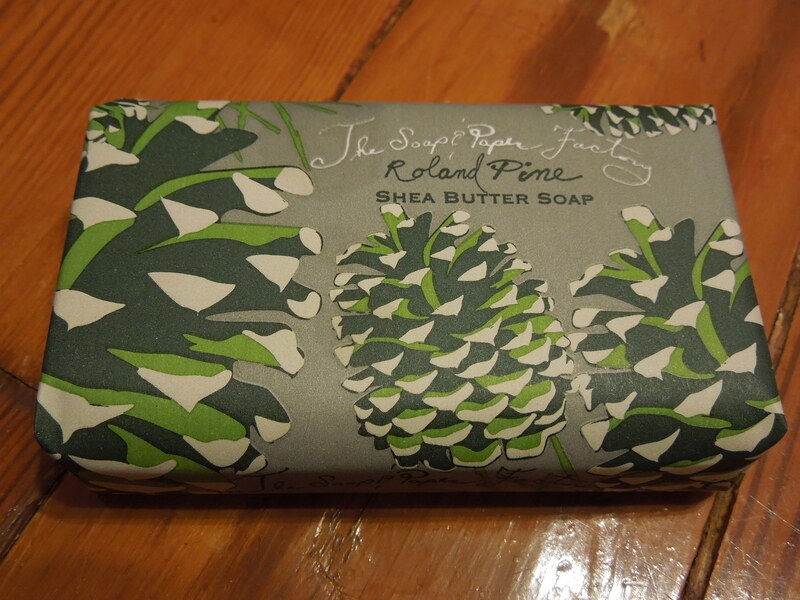 This soap smells like a Christmas tree. It’s a perfect addition to a Christmas gift I already have mostly assembled and this would be a fabulous stocking stuffer for a guy (since pine trees are manly or a least more manly than most soap scents). 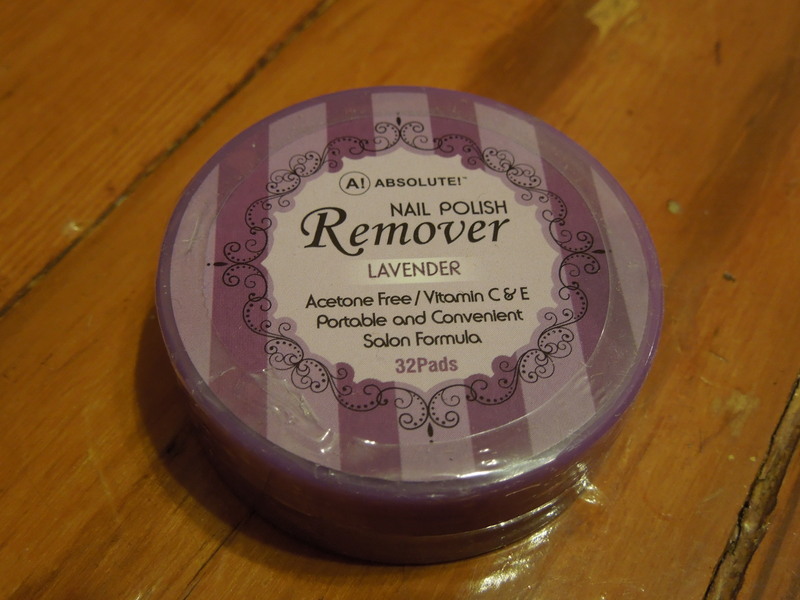 I love trying out new nail polish removers, especially ones that don’t have acetone and smell good. I’ve added these to my nail kit and I can’t wait to try them out. 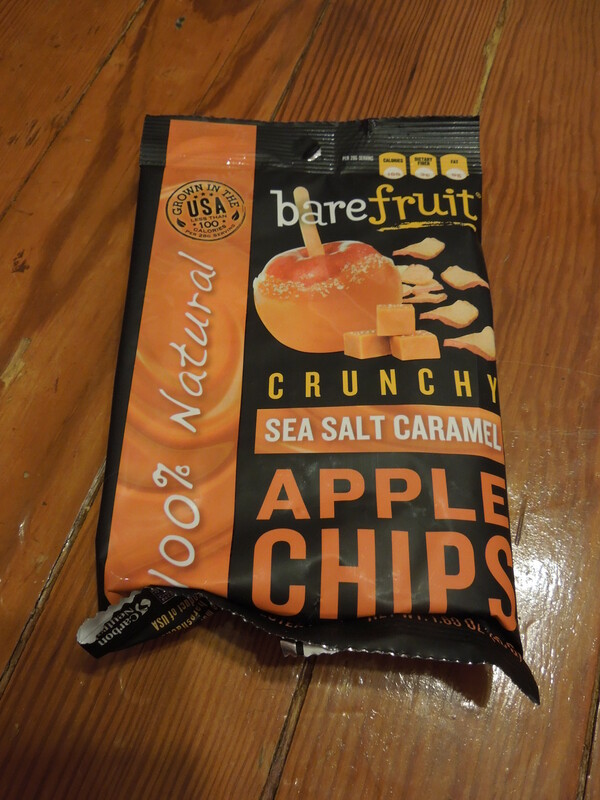 I tried, I swear I tried over and over to like apple chips. But to me they have this weird almost tomato like taste and the texture is just, no. In the interests of science, I gave these a taste and my previous opinion still stands. I tried to pawn them off on a coworker and he too passed after trying one. Call me old fashioned, but I’d much rather just eat an apple. 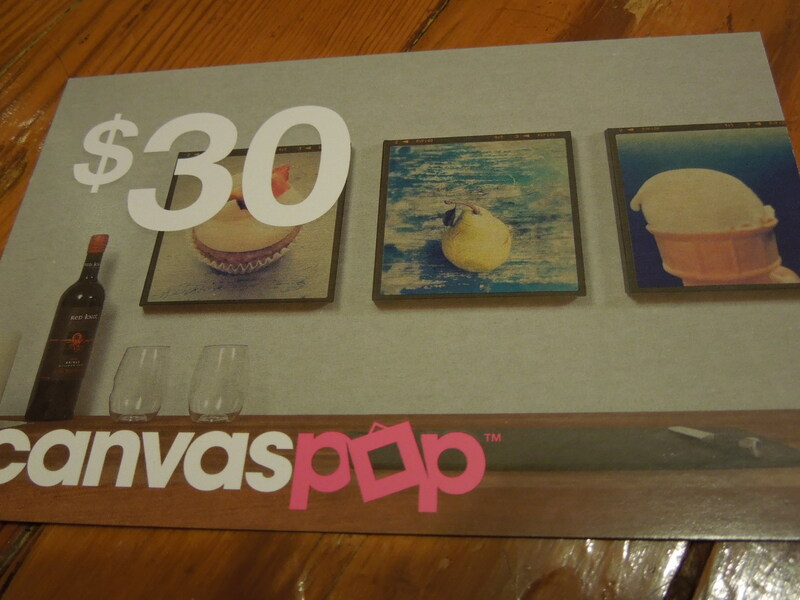 So this gift card will allow you to make a canvas print from your own photos. I’m a little on the fence with this since I have to spend my own money, but I might be able to find a cool vacation photo or maybe even turn it into a gift. We’ll see if I can put this to use before the expiration date. Because I paid for 6 months in advance, I got a discount and paid $33.88 for my November box. The retail value, including the gift card was $120.16. Removing the gift card, the value is still an excellent $90.16. While I didn’t love everything in this box, I liked most of it and I got a nice jump start on a number of Christmas presents. If you love reading up on the Popsugar boxes, please head back soon as December will not only bring a must have box, but their sold out Special Edition Holiday Box! Previous article	← Fair Ivy: November 2013 – Jewelry & More!